My first trip back to the family stomping grounds of Vermont in 35 years was a particularly rewarding experience in many ways. 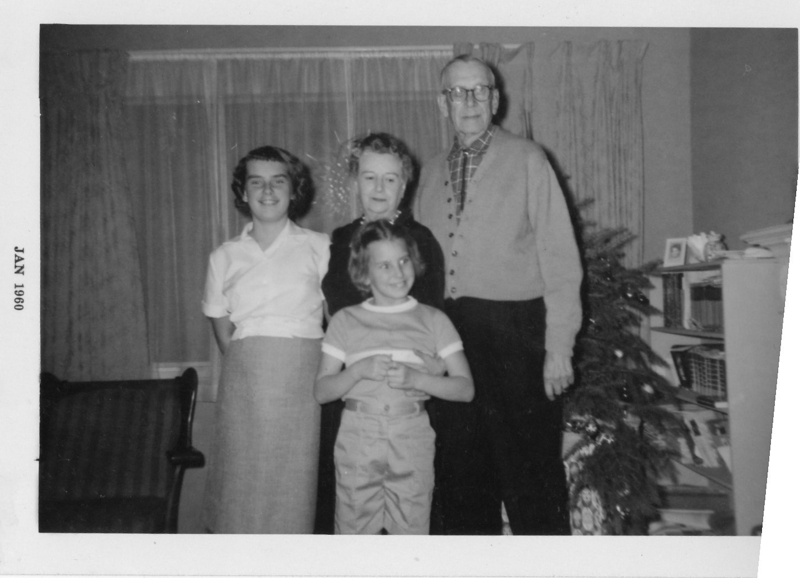 Prior to the trip I was missing photographs of two great-great-grandparents, and there were two of my great-grandparents who only had mediocre photos. I was fortunate enough that new photos of all four of these ancestors were located during the trip! Extremely exciting. The first two portraits are owned by my great-uncle Charles Fogg Thomas. He has kept them safe for many, many years after getting them from his father. 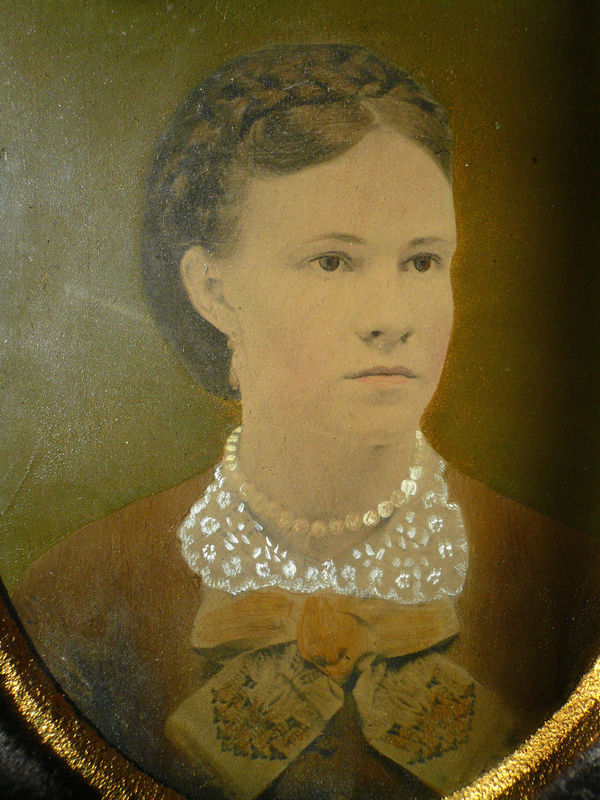 The pictures are hand-painted tintype photographs taken around the time of the marriage of my great-great-grandparents Horace Luther Thomas and Anna Clifford in 1872. Horace would have been 25 years old and Anna would have been 20 years old. They are in very elaborate “shadow box” frames, which made them hard to copy, but I managed to get good photographs of them. 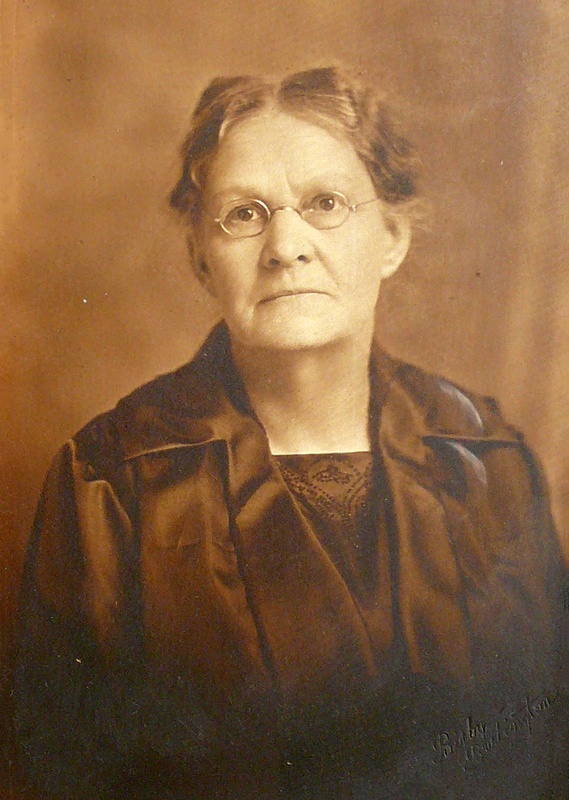 The next two portraits are of Horace and Anna later in life, probably about 1925. 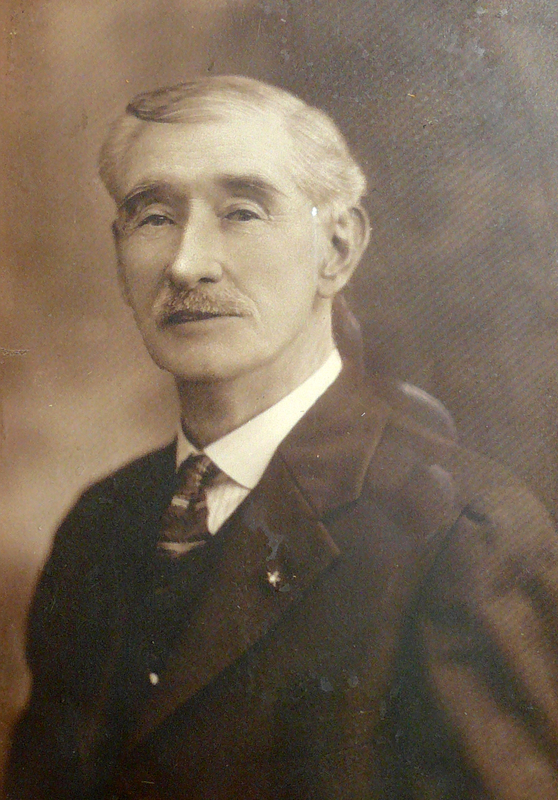 The next photo was taken about 1910. 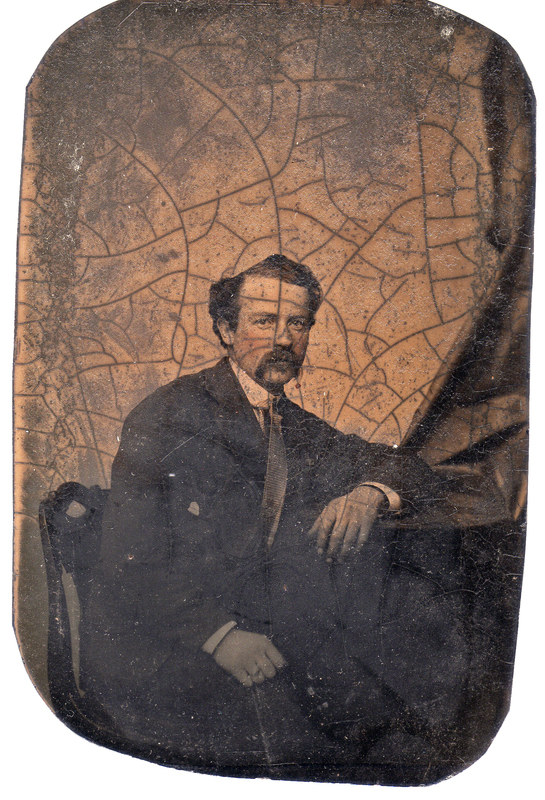 It shows the family of Jean Gregoire Bacon, my great-great-grandfather. This is the only known photo of Jean and his wife Cordélie Olivier, so it was particularly emotional to see it for the first time. Across the back are their children, Olive “Eva” Bacon, Delia Bacon (my great-grandmother) and Alexander Bacon. Jean and Cordélie are seated in front. 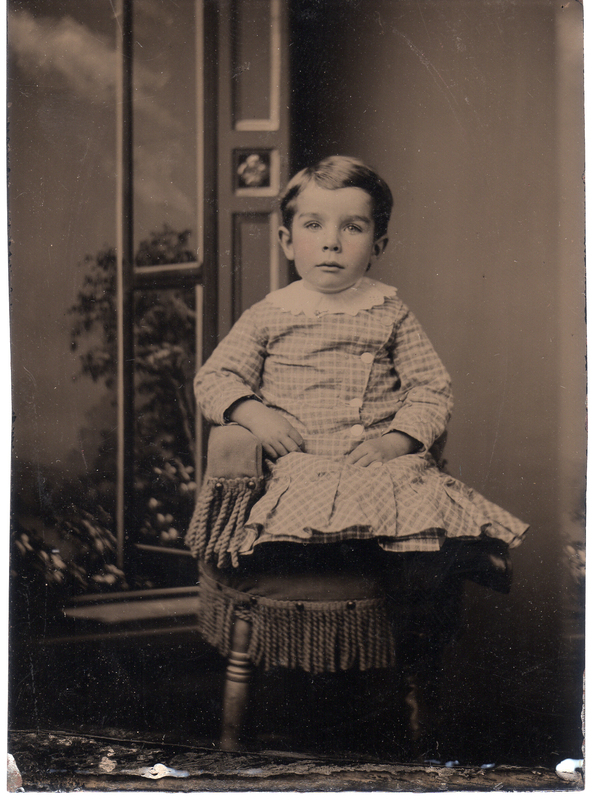 Delia and her mother died from pneumonia four days apart in 1918, after contracting Spanish Influenza. Jean Gregoire Bacon and family c1910. Olive, Delia, Alex (back row), Jean & Cordelia Oliver seated. This final portrait is particularly poignant. 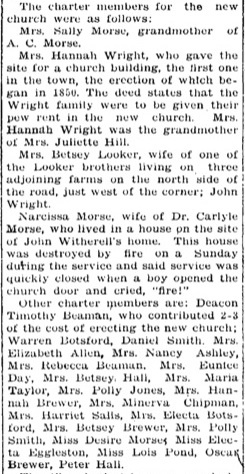 After Delia Bacon died in 1918 her husband Fred Thomas Sr. was left with two children to care for and a full-time job to hold down. He ended up deciding to temporarily place his children with family members. This photo must have been taken at some point in 1919, about a year after Delia’s death. It shows Fred with his daughter Grace (left) and Fred Jr. (right). It is the first clear photo of Fred Sr’s face that I’ve ever seen. It’s poignant because Fred Jr. and Grace are holding on to each other’s hands, and Fred Jr. is holding on to his father’s hand, but right around this time all three of them were living in different homes. They would never be a family in the same way again. 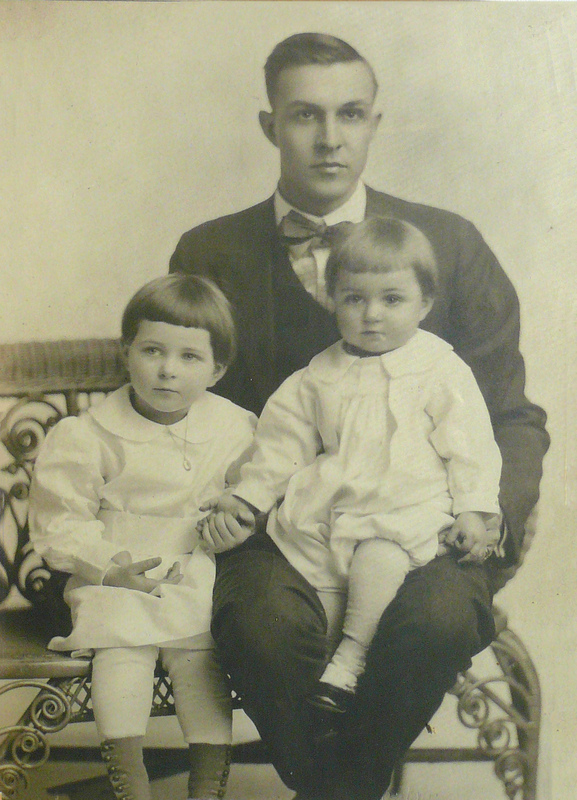 Fred Thomas Sr with daughter Grace (left) and son Fred Jr (right) about 1919. 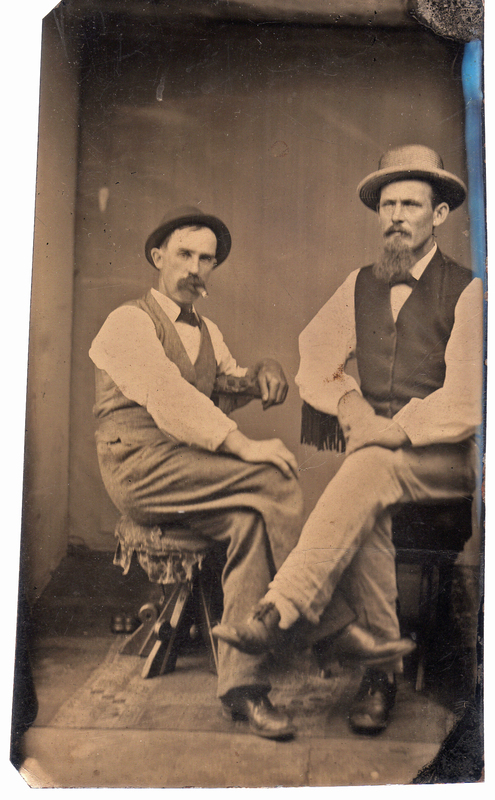 I’m going to revisit a couple of tintype photographs in a semi-futile attempt to find out something about them. 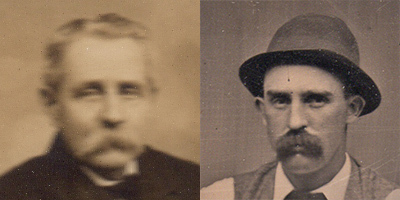 This exercise is based on my belief that the man in both of these photographs may be Joel B. Thomas (1842-1925), who was my 1st cousin, 4x removed. 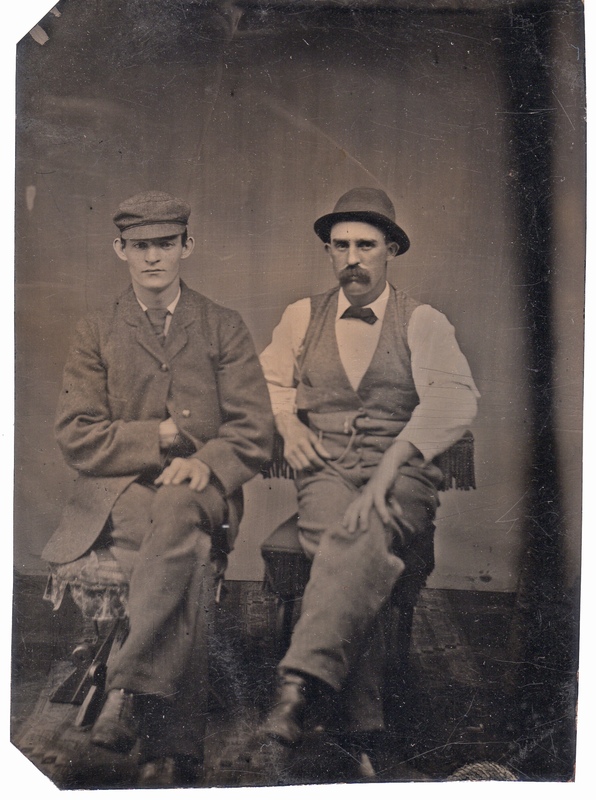 As back-story, these two tintypes (and others) were found hidden in a writing desk that was owned by Charlena Thomas. Her family said that they are not people from her mother’s side of the family and believe they are from the Thomas side. Charlena’s grandfather was Charles Franklin Thomas Sr. who would have been Joel’s first cousin. Let’s call the man on the left “Mustache Man” and the man on the right “Bearded Man”. Let’s call the younger man on the left here “Clean-Shaven Man”. Beriah Wolcott Thomas (1853-1901): Beriah was Joel’s brother. He was living in Burlington and would have been about 24 years old. 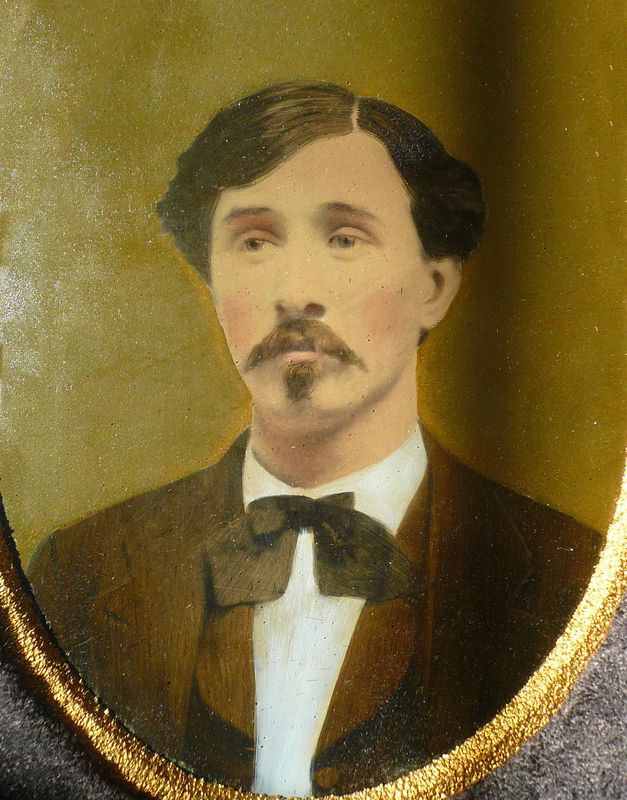 Warren Perry Thomas (1860-1896): Warren was living in Canton, NY and was only about 17 years old at the time. 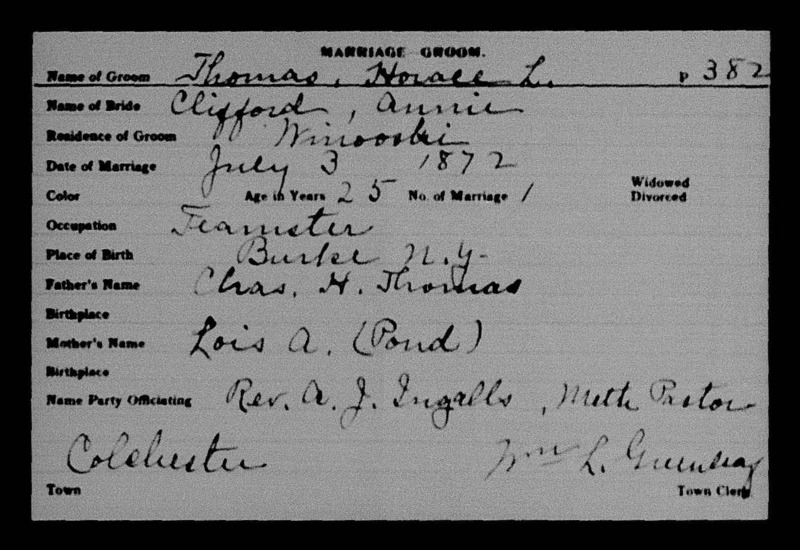 Charles Franklin Thomas (1854-1927): Charles was living in Canton, NY and was about 23 years old. 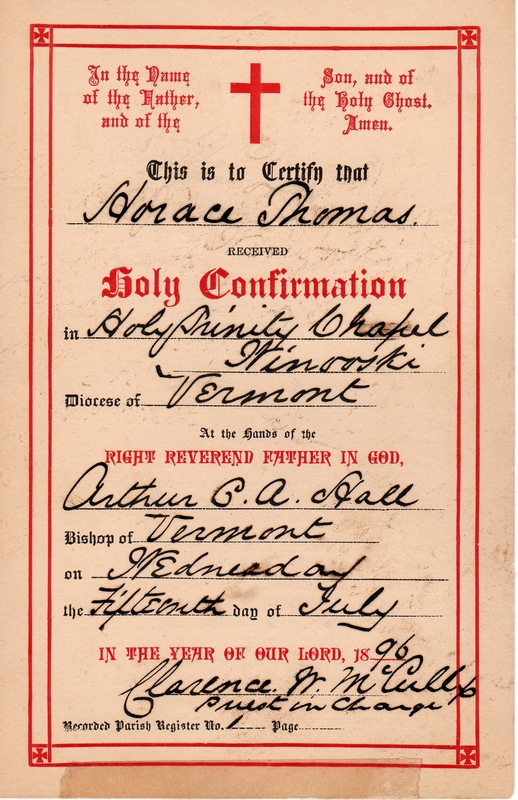 Joel Wells Thomas (1835-1916): Joel was living in Burlington, Vermont and would have been about 42 years old. They are the right ages, and were all living in Burlington, Vermont during the period these photos would have been taken. This mystery will have to await the discovery of other, identified photos to confirm or refute the theory.